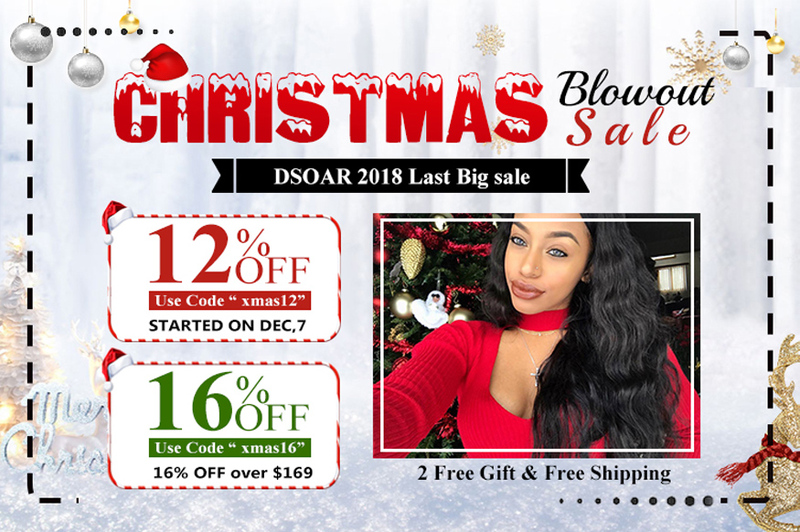 DSoar Hair 2018 Christmas hair sale will start on Dec.7 and end on Dec.25, you have enough time to select luxury & durable for your holiday. From Dec.7 to Dec.24, you can get 12% off for all products use coupon code "xmas12", If your order over $169, you can get 16% off use code "xmas16". Every deal will have 2 free gifts include Christmas LED ornament bracelet and Hand Made MinkFur Eyelash. On Dec.25, we offer 16% discount for all products, every customer place order on this day will get free Christmas LED ornament bracelet and Full Set Hair Band Hair Wave Styling Accessories. 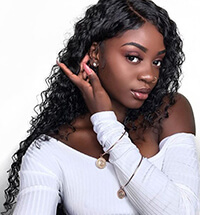 If you're looking for some great hair bundles, DSoar Hair is offering various of 100% virgin human hair bundles, they are obtained directly from young girl donor in their original country,there have 4 options on DSoar Hair mall: Brazilian virgin hair, Malaysian virgin hair,Peruvian virgin hair, Indian remy hair. Dsoar hair bundle has never been chemically processed and all of the cuticles are unidirectional, can be dyed, bleached, flat ironed, curled easily. DSoar hair bundles come in every texture and a variety of lengths, this allows you to try out different styles. We have created these bundles deals to suit virtually any budget: 1 bundle, 3 bundles, 4 bundles deals. You can buy 3-4 bundles at a time and save over one hundred dollars! Hair bundles with closure is a perfect deal for customers who want fulled covered hair. By wearing a closure, you can make sure that all of your hair is protected. We have 3 kinds of human hair closure size to satisfy your personal requirement: 4x4 lace closure,13x4 lace frontal,360 lace frontal. 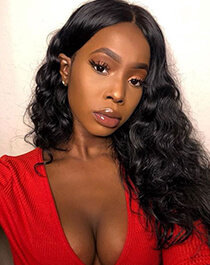 they are lighly pre-plucked with baby hair, when installed correctly lace closures have the ability to make your virgin human hair appear to be literally growing from your scalp. Check DSoar hair human hair closure category, pick hair will ultimately fit you! 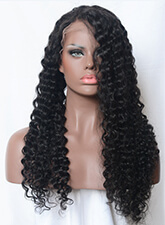 We have full lace human hair wigs and lace front human hair wigs, come in different hair lengths and texture. 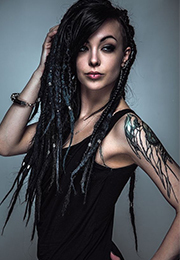 All of wig have natural hairline with baby hair, which makes it easier for you to install and makes the hair looks very natural looks like it is growing from your own scalp. We accept customize order if you have special requirements, Just email us if you: admin@dsoarhair.com, We can design the wig style as your requirement for free during our Christmas hair sale.